Did you know that too many chemicals or too few chemicals could seriously damage or shorten the lifespan of your pool and its equipment? Poolmart is WA’s pool water testing specialist. We use the latest water testing equipment and computer software to analyse your pool water. Our testing equipment has been designed and calibrated specifically for Australian conditions to ensure the accuracy of every test. At Poolmart, we can diagnose the health of your pool water with fast, accurate information, and provide you with a report, which shows the type of chemicals your pool or spa requires and the amounts needed to keep your pool clean, safe, and crystal clear. The professional team at Poolmart can recommend the right products to keep your pool in great condition all year round, whether you require simple water balancing chemicals or specialty chemicals to treat specific problems such as black spot, osmosis, stain, and scale formation. 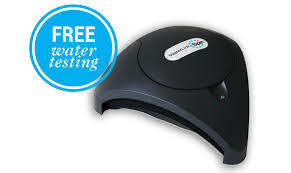 Simply bring a sample of your pool water into your nearest Poolmart pool shop for a FREE computerised water analysis. You’ll find us in Leeming, Success, Rockingham, Mandurah, and Baldivis.